Home » What Are AAFCO Dog Food Nutrient Profiles? Have you ever wondered what that text on the label of your dog’s food about AAFCO and meeting nutritional levels actually mean? Is it important that the text is present on the label? If this is you, keep on reading. I’m about to clarify everything (well, almost everything) about the AAFCO dog food nutrient profiles. Let’s take it from the beginning! AAFCO Approved Dog Food – True Or False? AAFCO Complete And Balanced Dog Food – What Does It Mean? AAFCO Guaranteed Analysis – What Is That? 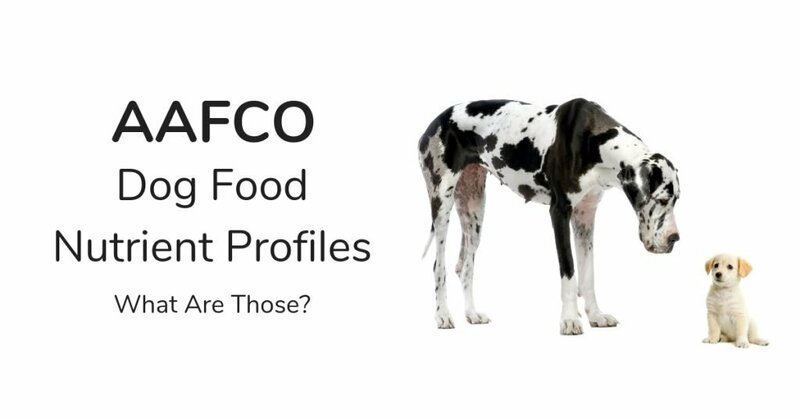 What AAFCO Dog Food Nutrient Profiles Are There? Are There AAFCO Guidelines For Homemade Dog Food? Is There An AAFCO Approved Dog Food List ? As the name implies, they are not a governmental agency. Instead, they are an association formed by government agencies. These agencies represent 50 states, Canada, and US Food and Drug Administration, Center of Veterinary Medicine (FDA CVM). This means that AAFCO cannot and does not regulate or inspect anything. Instead, their role is to gather all available knowledge about what animals need in their food to stay healthy. They then put together that knowledge and make it available for the regulatory government and state agencies. And for pet owners! Another important mission is to create law templates. The states can use these templates to make all the states’ laws about animal food harmonize. This makes it possible to find the same pet food in California, Florida and Michigan! AAFCO started out in 1990. One of the outspoken aims from the very beginning was to harmonize the state laws regarding animal feed. The purpose of this is to keep the commerce flowing between states. Today the organization saves the states many thousands of dollars by drafting model laws and regulations. The states can then adapt those and know that the other states have the same laws, so commerce between them can continue. False! AAFCO cannot and does not approve anything. They are not a regulatory agency at all. Instead, they put together nutritional standards and guidelines. The states can then use these, and the law templates, when writing their own laws and regulations about animal and pet food. AAFCO often say they are a deliberative body. They are very thorough and make sure to get it right, and address all issues before they are done. One outcome of this is the nutritional standards, or nutrient profiles. These list what nutrients a species needs to thrive and stay healthy and happy. There are nutritional profiles for livestock as well as horses, dogs, cats and other pets. They can make a laboratory analysis of the food to make sure it complies with the Dog Food Nutrient Profile. The food must have every single one of the nutrients listed in the profile, at the recommended level. Or, they can use the AAFCO feeding trials. This means that a number of dogs eat the food for a given time and then an assessment of their health and wellbeing is done. There are special criteria that has to be used for the assessment. Nutritionists usually say that feeding trials are best. That’s because the food may not act the same way in a test tube as in an actual animal’s body. How can you tell if the manufacturer has used feeding trials or laboratory analysis? If feeding trials have been used to make sure the food is ‘complete and balanced’, the statement on the label must say so. If laboratory analysis has been used, the text will read: (Name of product) is formulated to meet the nutritional levels established by the AAFCO Dog Food Nutrient Profiles for (lifestage). If the food has passed the feeding trials but doesn’t meet any of the nutrient profiles the label is not allowed to refer to the profiles. The reason for this is simple. The food does either not have the nutrients listed in the profiles at all, or they are not present at the levels established in the profile. This means that if the label talks about a specific nutrient profile, a laboratory analysis has been made. Treats and supplements are usually not complete and balanced, since they’re not intended as the main food for the dog. Instead of the complete and balanced text, they must have “This product is intended for intermittent or supplemental feeding only” on the label. A pet food label must have a guaranteed analysis on it, but that has nothing to do with AAFCO. Instead, this is a requirement stated in laws. The manufacturer can then choose to analyze other nutrients in the dog food as well, but that is not required. Some do and some don’t. For a smaller brand or someone just starting out, the cost for this may seem daunting. As long as the food is compliant with one of the AAFCO dog food nutrient profiles, you can rest assured that the food contains the appropriate levels of vitamins and minerals, no matter how many nutrients there are in the guaranteed analysis. This is simply the text on the label called the nutritional adequacy statement that states what life stage (and kind of pet) the food is suited for. To state this, the food must have passed a feeding trial or meet one of the nutrient profiles. The text on the label will say: (Brand and product name) is formulated to meet the nutritional levels established by the AAFCO Dog Nutrient Profiles for (applicable life stage). Or, if feeding trials have been used, the text will say: Animal feeding tests using AAFCO procedures substantiate that (brand and product name) provides complete and balanced nutrition for (applicable life stage). There is a third alternative, one that is rarely seen: (Brand and product name) provides complete and balanced nutrition for (applicable life stage) and is comparable in nutritional adequacy to a product which has been substantiated using AAFCO feeding tests. The first dog food nutrient profiles were presented in 1991, and in 1992 the first cat food profiles followed. The profiles are updated when new scientific information about dog (or other animal) nutrition is available. The nutrient profiles are presented each year in the association’s Official Publication. When the label says “all life stages” this includes all stages in the list above and the food is suitable for puppies as well as adult or pregnant dogs. So what is different in a food that is suitable for large breed puppies? Only one component: calcium levels. Scientific studies have shown that too much calcium can cause bone and joint deformities like hip dysplasia. This means that checking the label for the word including is super-important if you have a puppy that will grow into a large adult dog. Find the nutrient profile on the label of your dog food! No. There are no regulations whatsoever concerning cooking your own dog food. Whether this is a good idea or not is a totally different issue that we won’t cover here. A word of warning though, please understand that dogs and humans do not have the same needs. Some of the ingredients in dishes for humans are actually toxic for your dog (or other pet). Serving leftovers to your pet can be hazardous. Nope, no such thing exists. Why? There is of course the possibility of a list with dog food that meet the nutritional guidelines. However, the sheer number of products on the market prevents the association from maintaining such a list. It would take up a lot of valuable resources that are better spent on finding, compiling and evaluating research on animal food. You simply have to do the job yourself and check the label of the food you’re considering! The association is very active and extrovert. They provide some great resources not only for the manufacturers of animal and pet food, but also for consumers. You find a ton of valuable and interesting info on the AAFCO Talks Pet Food site. Wondering about what all the ingredients in your pet food really are? Find out here. Always remember that the AAFCO is not a governmental agency. If you have concerns about your pet’s food, you should report that directly to the FDA. You can also talk to your state’s Feed Control Official. 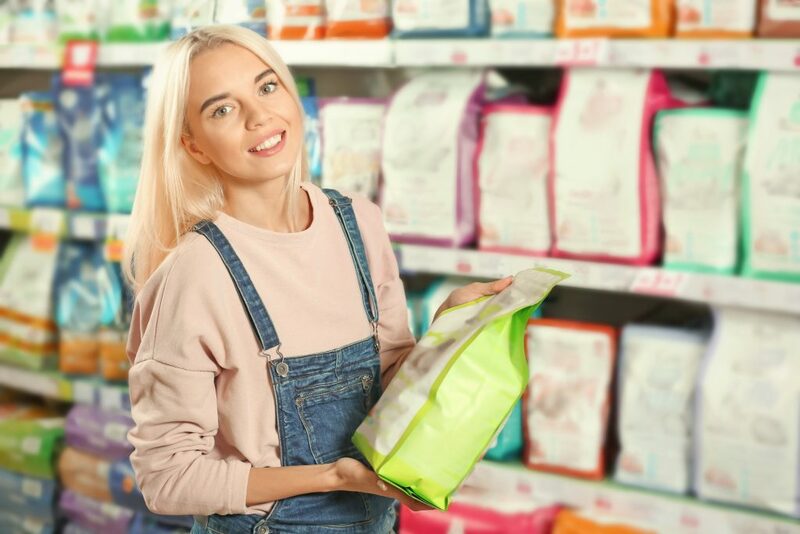 PrevPrevious5 Best Grain-Free Puppy Food 2019 – This Is Why You Want It!